Matchstick project just appeared on Kickstarter, which has already raised more than 118,000 dollars. The concept is similar to Chromecast But running Firefox OS. Since the arrival of Google Chromecast, key projects HDMI to stream content from one device to a TV have multiplied: Microsoft, Dell, Netgear, etc. It is not surprising to see that Firefox OS project is in preparation. Matchstick is currently a Kickstarter project that has already attracted more than 118,000 dollars when it asked for that 100000 Like the others, it allows you to stream content to a TV from a third device smartphone, tablet, PC ..
Matchstick placed on the flexibility of Firefox OS but also a cost that should be even lower than Chromecast, offered only for 35 dollars. Remains a crucial point: "Matchstick is already compatible (as binary) with many Chromecast apps. A simple recompile is needed to make them compatible with Matchstick, "reads the project page. Virtually so this indicates that the apps of all platforms combined should work with the key. Prototypes have already been distributed to some developers to start their tests. 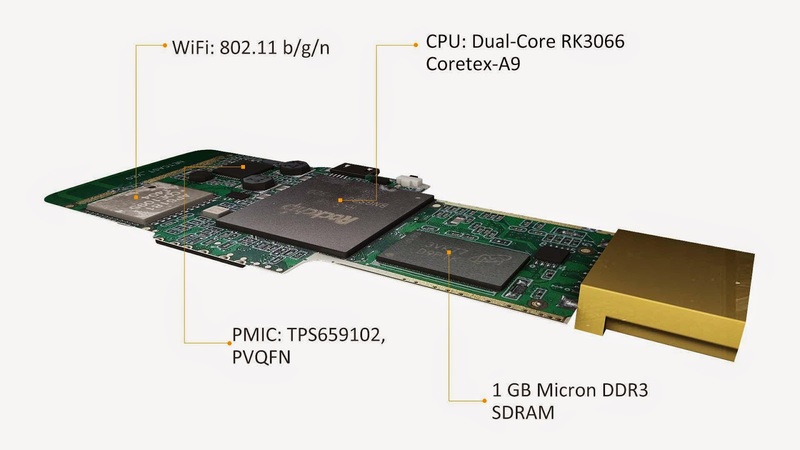 They use a double core of Rockship 3066 processor (based on ARM Cortex-A9 architecture), 4 GB of storage, 1 GB of DDR3 memory and a WiFi b / g / n module. Plans and firmware of the key are also available online. Matchstick should be available early 2015 for $ 25.